WDW on Wheels can mean a lot of different things to different people. On Growing Up Disney “wheels” are normally Tink’s stroller. Parades are on wheels, food and merchandise carts are on wheels, DHS has an excellent show – Lights, Motors, Action! Extreme Stunt Show – that is all about cars and motorcycle stunts where they really burn rubber from their wheels. Today, I am talking about wheels on something different. My wife, while far from handicapped, has problems with her pain in her knees. The long hours of walking at WDW causes her more pain than she normally puts up with. For some time now when we go to EPCOT I have rented her an ECV at the park. EPCOT has some of the longest walks between attractions of any of the parks. The ECV made my wife’s trip much more enjoyable for her. As things progressed, I began renting ECVs at other parks for her until she needed an ECV at every park. On our last trip (we returned the first week of November) I rented a 3-wheeled scooter from one of the “outside” rental companies so she had the scooter for the entire 10-day trip. This allowed her to go from our room to a park with only minimal walking. There are many excellent companies that rent scooters in the Orlando area, we rented from Randy’s Mobility. I only have good things to say about Randy’s Mobility. Randy delivered the scooter to our room after we checked in at Saratoga Springs. He showed my wife how to operate it and me how to take it apart so I could put it in the trunk of our car. On our 10 day trip I ended up taking it apart and putting it back together on at least 9 days of our 10 day trip. The one day I did not take it apart my wife used the WDW Bus to get to a park. At the end of our trip we left the scooter with bell services at the hotel for Randy's Mobility to pick up. Scooters give a mobility impaired person a new sense of freedom. I think that Walt Disney World is one of the most wheel chair friendly places you can go. (Yes the ADA requires businesses to be handicap accessible and Disney has done a wonderful implementation of this. The cast members are well trained and helpful to those needing extra assistance bringing with them the extra Disney “Magic”.) All transportation readily accommodates guests “on wheels”. My wife traveled by bus, boat, and monorail. On wheels she could have also boarded the train to ride around the Magic Kingdom or a truck at Kilimanjaro Safaris in the Animal Kingdom. You can go into attractions, restaurants or visit the “facilities” on wheels. My wife chooses to park her scooter and walk into most of the stores and attractions. Since she is not confined to wheelchair she tries to be as courteous as possible when using a scooter. We took Tink on the train at the MK around to Mickey’s Toontown Fair. While my wife could have ridden the train she “scooted” around to that area. She enjoys going fast on the scooter as with her knees she can never go faster than a slow amble. By herself she could go as fast as the crowd level would allow. The newer parks and new attractions are more accommodating to someone who is mobility impaired as they were designed from the beginning with ADA in mind. A friend whose husband is confined to a wheelchair agreed that most of the attractions and rides were accommodating for someone in a wheelchair. The problem for him is when he has to transfer from his chair into a ride vehicle as it gets to be very tiring . Many of the attractions do not require you to transfer from your ECV/scooter to be able to enjoy the attraction. Some require you be able to move from the ECV to a wheelchair and others require you to be able to move to the attraction seating. Each of the parks has maps designed for the guest with disabilities. You may have to ask for a map. The MK did not have them on display on our last trip, but were glad to give you one at the ECV/stroller rental stand at the MK entrance. The park map will show you what is required at each attraction for the mobility impaired person to enjoy the attraction. A quick check with your favorite search engine will give you lots of information on traveling with disabilities. Walt Disney World’s web site has pages of information on visiting WDW for people with disabilities. 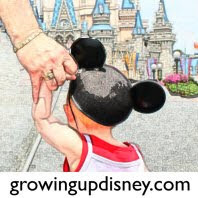 Check out the official WDW web site for traveling with disabilities here. 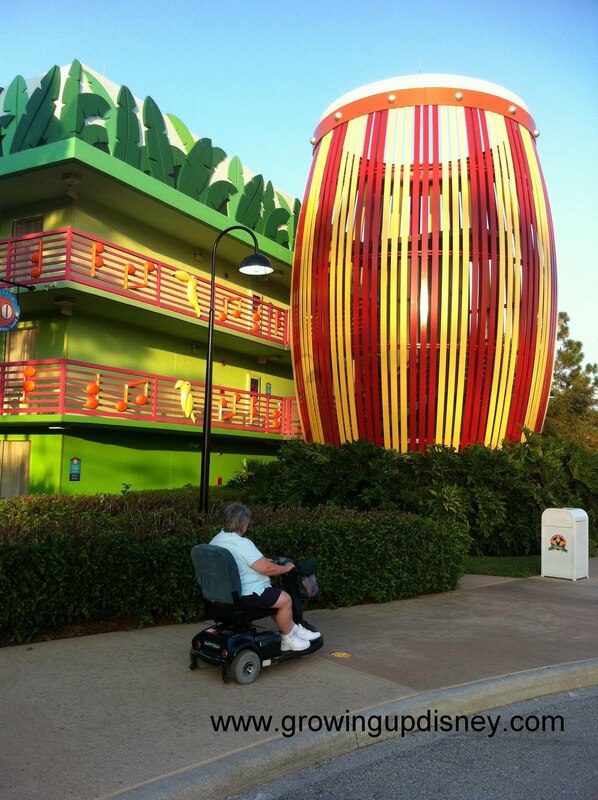 Do you have experience traveling at WDW with a mobility impaired person? Let us know your experience. Thank you so much!! We are season pass holders & are taking my parents to MK Thanksgiving. It will be a first visit with Dad since being in an ECV. This article gave some reasurring info! We go to the parks all the time but now look at them thru different eyes. Thanks again. If I remember I will post our experience here when we get back :). Welcome to the Magical Blogorail! Where the heck are my Mickey waffles? Anyone need a place to stay?